ethical behavior – Media! Tech! Parenting! In an always-connected world, how can we help our students and our children become better, more thoughtful problems solvers when they encounter challenging dilemmas? What can adults do to encourage young people to grow into citizens who understand how to examine issues and problems from a range of perspectives — theirs, of course, but also the possible ramifications of theirs in the context of a community where they live, with others, or even the world. Each parent and every teacher ask these reflective questions again and again as they observe young people navigating through their online lives. 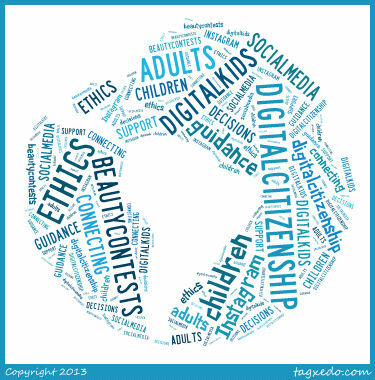 Is It Digital Citizenship or Just Plain Citizenship? As the lives of my students, online and off, grow more complex by the day, I spend a good deal of time helping them learn more about digital citizenship. Today the digitally connected, always-on world presents students, teachers, and parents with confusing questions and baffling behavior expectations. Is this digital citizenship or just plain citizenship? Building strong 21st Century citizens is of paramount importance whether we are living our lives offline or on, and we need to avoid using old-fashioned compartmentalized instruction in a connected world. The Merriam Webster Dictionary defines citizenship as “The qualities that a person is expected to have as a responsible member of a community,” and helping students shape themselves into responsible community members is what caring adults do. We model appropriate behavior and help children learn how to participate as respectful and ethical members of society. No matter where they work or play, our citizenship goals are the same. Beauty Contests? 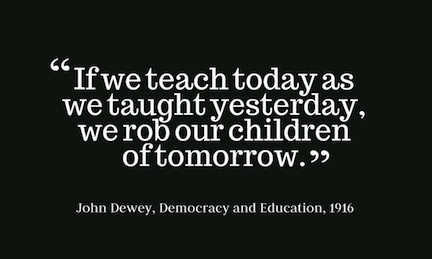 What Will It Take for Us to Really Lead Our Digital Kids? It is a truth universally acknowledged that whenever a new technology feature comes into vogue, children and adolescents come into possession of digital skills in want of copious adult tutelage. Or at least this should be universally acknowledged. Just now, in my part of the world, we are in the midst of an Instagram beauty contest phase. Interestingly, however, parents and educators who have spent the past 10 years connected in any way to the teen-tween digital world will recognize that, at a minimum, this is actually beauty contest 3.0. I recall two other student beauty contest episodes, each occurring on a different digital playground. Initially, they appeared on make-your-own websites, then on MySpace. Now we have Instagram. As I said the other morning to a concerned mom, behaviors get recycled each time a neat new whiz-bang digital opportunity emerges. Typical kid behavior gets paired with a powerful app, but mostly without the benefit of that adult tutelage referred to above. Also, kids love contests so it’s natural that the idea comes up. Children are growing up in two worlds. Families and schools now have two childhood environments to supervise — face-to-face and the digital — and kids are learning and playing in two places, irrevocably intertwined. School and home guidance acclimate children mostly to the face-to-face world, assuming that the lessons automatically carry over to digital endeavors. They don’t.